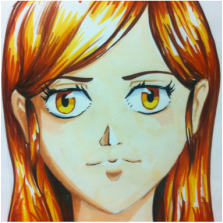 Also check out our monthly Manga Night - a Friday Night Event for ages 9-19 at our studio. *Listed fee is based on four classes in a month. As the number of classes that are conducted in any given month can vary from as few as 3 to as many as 5 (impacted by calendar and holidays), the monthly fee for this class will range between $63.75 – 118.75.